However, it will be up to politicians at Stormont to implement the judge’s recommendations, which he believes could radically improve outcomes for families and children. In his first media interview since the publication of the 250-page draft Family Justice Report, Lord Justice Gillen said a cultural change was needed so more families reached agreement outside of court. As part of the review Justice Gillen liaised with experts from around the world including New Zealand where separating couples are not allowed to go to court until they have engaged in a parenting discussion. “At that discussion children are absolutely kept to the fore,” the senior judge explained. “That is a cultural change and it’s challenging but it has to be done because unless we have this inclusive approach, whereby parents and those who are separating realise that the court system is but one method of resolving your difficulties, we are going to go on the way we have been going.” His review highlighted problems with major delay and inefficiency in court proceedings, budget cuts, too many court hearings, and no formal training structure for family court judges. 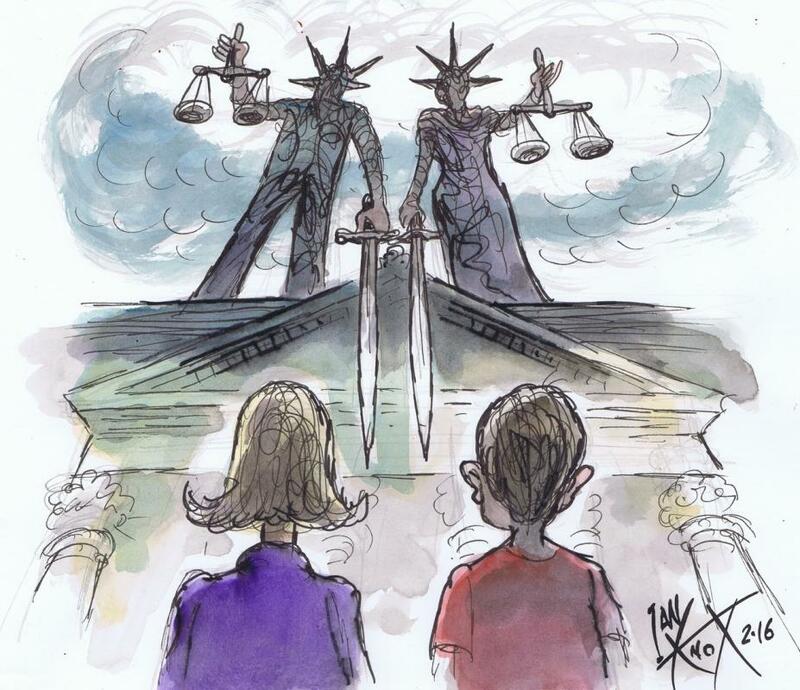 Previous research by Detail Data found that Northern Ireland’s family courts made more than 24,000 decisions impacting on thousands of children’s lives between September 2012 and August 2015 alone. An analysis of that data from the Family Proceedings Court, Family Care Centre and the High Court by Detail Data also revealed that 10,206 contact and residence orders were made during that timeframe – almost half of all orders. Orders for ‘contact’ and ‘residence’ generally set out which parent a child lives with and when they have contact with their other parent. Other key recommendations include having ‘problem solving courts’, a new family court structure, fast-tracking of cases and greater use of technology which would enable police officers and social workers to give court updates via the internet. Also problem solving courts – with the assistance of specialised support services including anger management, drug and alcohol addiction – will aim to help parents. New sanctions are also being proposed for parents who fail to adhere to a court order including community service and mandatory parenting classes similar to those for people caught speeding. Justice Gillen has said the community and voluntary sector has already played and will continue to play a key role in the reforms. Many groups including Family Mediation NI and the NSPCC formed a reference group advising Justice Gillen. Detail Data’s previous research prompted calls for a greater focus on mediation and lead to the formation of a Family Courts coalition. Facilitated by NICVA, the coalition brings together voluntary and community groups which are working in the family court arena. Through the coalition the groups are lobbying for reform of the system, more funding and greater support for mediation in an effort to divert more families away from the justice system. Several issues highlighted in Detail Data’s story in April have been cited in the review group’s recommendations including replacing the “outdated” Children’s Order Advisory Committee (COAC) with a new Family Justice Board, giving greater emphasis to the voice of the child and opening the family courts up to the media.